After a few hectic drinking days in Budapest I gave my liver a little bit of time to recover in France. Don't worry though - I'm here for over two weeks and I've got more than enough French beers to report on for you. That's where Caves a Bulles comes in; my first visit proved fruitless with the store closed for the owner to go brew a beer at a local brewery. My second was much more fruitful with Simon (apologies if I got your name wrong!) taking quite a while and helping to guide me through the French craft beer world. I can't recommend this store highly enough! If you are after craft beer in Paris hit these guys up. 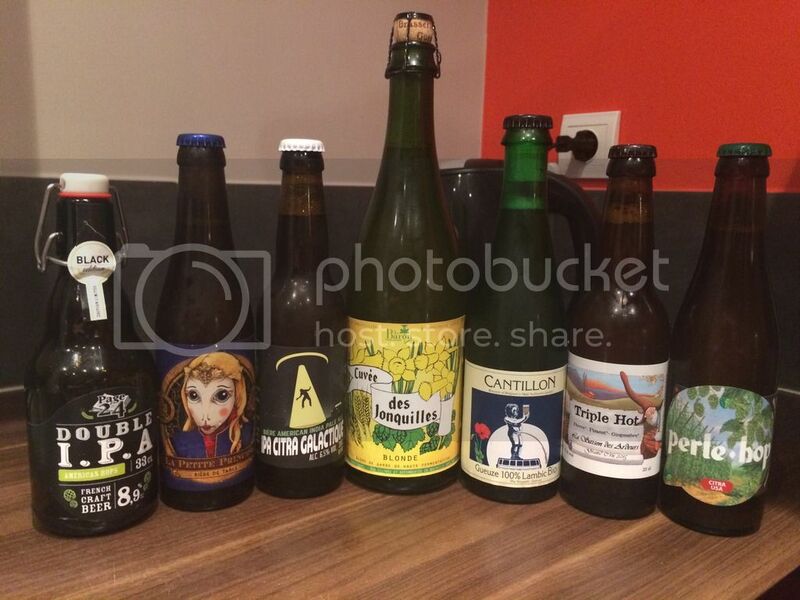 Before I got to drink my haul, I sampled the usual suspects that I drink in Paris. Pelforth Brune was again the pick of the bunch, whilst I still am not a huge Kronenbourg 1664 fan. 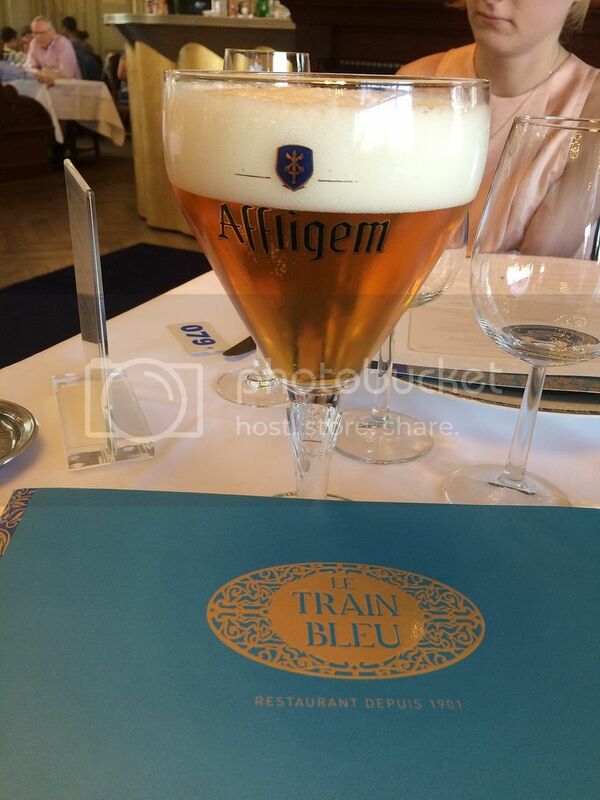 A couple of Belgian Blondes took my fancy in Affligem and Grimbergen, whilst canned Hoegaarden is pretty good in close to 40 degree heat as well. I didn't think it was possible but after leaving Paris the weather seemed to get even hotter! Our first stop in Aix-en-Provence was disgustingly hot & humid - so much so that after 1 night I realised I was going to need more beer... Page 24 Double IPA was the first of craft French craft beers I cracked into - it had nice chewy malts and bitterness, but was strangely lacking in any flavour coming from the hops. I gave the Kronenbourg 1664 Blanc a run at lunch, and almost immediately regretted it. I don't quite know how they've acheived it, but they've managed to skunk a witbier... There as some lemoniness, although I feel that this was most likely coming from the slice of lemon served in the glass... Save yourself the trouble, do not try 1664 Blanc - even for the cool blue bottle - it's not worth it! A collaboration between Brasserie Thirez, one of the big guys in the French craft beer scene, and Jester King was next; La Petite Princesse. As the name suggests this is quite a small beer, clocking in at just 2.9%, and is called a table beer - attempting to imitate what French farmers would have drunk back in the day. I was impressed, with good straw flavours combining with Belgian yeast and a touch of grassy bitterness at the end. A lovely beer if light Saison's are something you can handle. Cuvee des Jonquilles was sold to me as the "quintessentially French" beer. Basically it was a spritzy, less funky Saison. It would be a great gateway beer for people looking to get into full blown Saisons, whilst it's light body makes it ideal for very hot weather! I also had a ginger beer, which I believe was a Saison infused with ginger. It was a lovely beer, with good ginger flavour and was quite effervescent. It was called Triple Hot from Brasserie des Garrigues. 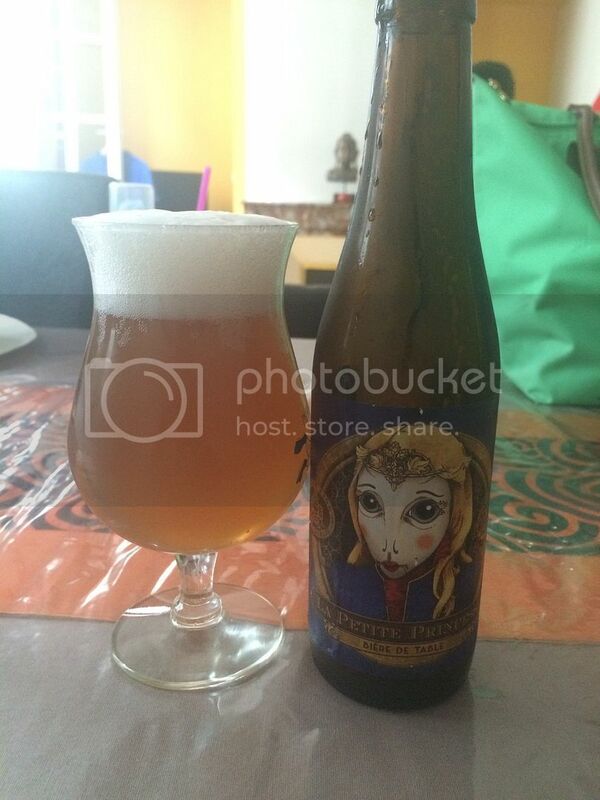 One of my favourite French beers was the IPA Citra Galactique from Les Brasseurs du Grand Paris. It was a brilliant IPA, packed with tropical fruit and pine flavours. Galaxy and Citra were the two main hops, hence the name. I finished the night off with a Perle Hops Citra. I think it was a single hop IPA, but can't be sure. The hops didn't distinctly taste of Citra, so if it was a single hop it wasn't a good one! As a beer, it was a reasonably nice IPA just not what I was expecting. The best Bouilliabaise of my life was had a Chez Michel in Marseille, yet was paired with Heineken. The Heineken is fine, but restaurants of this calibre should be looking at embracing beer the way in which they do wine. I had this exact conversation with the guy at Caves a Fietje, the bottleshop in Marseille I went to to restock. It's a good shop with a good range and he explained to me the problem with French craft breweries wanting to sell in such large volumes that not even they can stock them - one of the biggest craft beer stores in France. After lugging far more beer than I should of, Caves a Fietje have a great range, back to Aix-en-Provence I thought I'd earned myself a beer. 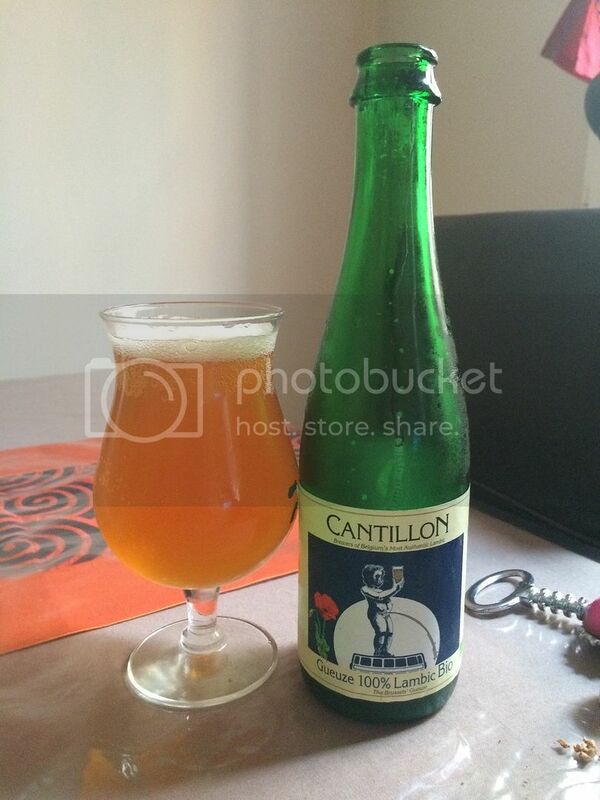 One of my favourites was what I settled on, Cantillon's Gueuze 100% Lambic Bio. It's brilliantly tart and refreshing, it's a favourite of mine for a reason! 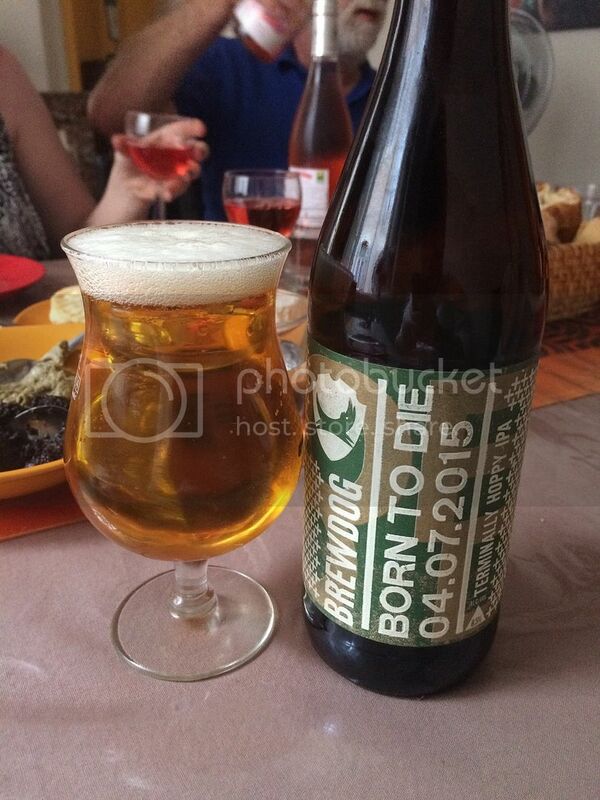 I briefly moved away from trying to buy local(ish), Belgium is almost France..., beers when I noticed the last bottle of BrewDog's Born to Die 04.07.15 in Marseille. I hadn't even heard about this line from BrewDog, but assumed it be along the same lines as the Stone Enjoy By range. Being the 3rd when I bought it, straight in the fridge it went and was enjoyed later that night. It was an extremely bitter IPA, packed with grapefruit and pine flavours and one that I'm very pleased to have got to try. My last beer in Aix-en-Provence was the Dalva Millesime 2012. From what I understand, this was an Imperial IPA that was put in barrels to age. Whats evolved is this excellent sour, which is particularly tart and has hints of white wine, leading me to believe that the barrels it was aged in may have been white wine barrels. I was surprised to find that there were still signs of the hops, even being at least 2.5 years since it was brewed.